Lea las declaraciones más completas de Elena de White sobre el tema de la oración, incluyendo algunas que nunca habían sido traducidas al español. 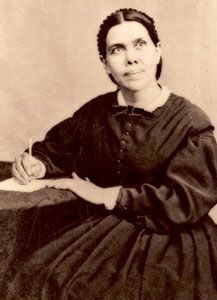 When Ellen White wrote about prayer—its power and its necessity for the Christian—she was writing from personal experience. Often she was driven to her knees by the demands of the special work she had been called to do and her need for strength from God. This addition to the Christian Home Library (CHL) series, includes not only her most familiar and treasured statements dealing with prayer, but many others that are less known. The quotations are topically arranged to cover all the major aspects of the subject. The last four chapters of the book contain extended treatments of particular themes such as faith and prayer, the importance and privilege of prayer, the Lord’s Prayer, and prayer in the Christian life. The interest in prayer has resulted in an explosion of books on the subject. Now you can know what God’s messenger had to say about it.